Ukrainians voted for a new President on 31 March. Ahead of the second round on 21 April, we analyse the programs of the top-5 candidates that people supported to check what their stance is on human rights. According to the final results, comedian Volodymyr Zelenskiy got 30.24%, and the incumbent President of Ukraine, Petro Poroshenko, is on almost 15.95%. While both proceed to the second runoff, the results of Yulia Tymoshenko (13.40%), Yuriy Boyko (11.67%) and Anatoliy Hrytsenko (6.91%) are also representative. So what do they say about human rights? The judicial system is one of the biggest restraints on Ukraine's path towards democratization. While Ukrainian society still awaits verdicts for the crimes committed against Maidan protesters in 2014, its 2019 candidates place judicial reforms at the heart of their pre-election programs. Ukrainian showbiz figure Volodymyr Zelenskiy, who won the first round, states that "respect for human dignity should become a basic principle of state activity". In fact, this general aspiration refers to the rule of law, meaning that reforms should impact every human being , not just a bunch of rich people. Zelenskiy has already enlisted some anti-corruption fighters, like his election advisor Ruslan Riaboshapka, who was a member of the National Agency for Prevention of Corruption. Former investigative journalist and current MP Serhiy Leshchenko has openly expressed his support for the comedian, having left Poroshenko's Solidarity Bloc a month earlier. Nonetheless, all this does not match Zelenskiy's alleged ties with a powerful oligarch, Ihor Kolomoyskiy, known for taking advantage of the state oil market, and particularly UkrNafta, the country's largest oil producer. Promises to defeat corruption and introduce criminal responsibility for guilty persons is a common message in the campaign programs of the 2019 presidential election. Anatoliy Hrytsenko, who dropped out of the race, made this pledge more precise. Giving assurances on "what will be" and "what will not take place" in Ukraine under his rule, the former Minister of Defense vows lifetime prison terms for corrupt judges without a right to amnesty, but with confiscation of property. He would also make judges pay compensation for any wrong decisions reported by the European Court of Human Rights. Following the topic, Ukraine's ex-Prime Minister Yulia Tymoshenko included two lines in a paragraph of her "New People's Constitution". She assures that judges will not interfere in the establishment of state bodies, citizens will elect them "without political advertisement", having the right to put forward legislative initiatives through petitions. While Tymoshenko is often proud of her past as a political prisoner on corruption charges, she was also involved in corruption scandals which do not support her image of a corruption fighter. In this regard, the former Vice Prime Minister of Ukraine,Yuriy Boyko, is no less populist but rather vague. Pledging to secure people's rights to an independent and fair trial, the sole pro-Russian candidate wants to eliminate "selective application of legal norms by the police authorities and judges". To top it all off, he adds that there will be "unconditional criminal responsibility for extremism, propaganda of hostility, violence, ethnic and racial advantage". Considering his anti-Ukrainian sentiments, Boyko most probably has in mind Ukrainian nationalist expressions. In fact, he offers nothing new: criminal responsibility for the above-mentioned abuses is already prescribed by the Constitution of Ukraine and the Criminal Code of Ukraine. This promise, as subsequent ones, is rather a populist appeal to the pro-Russian electorate. Since the current leader of Ukraine, Petro Poroshenko, based his program mainly on accomplishments, not failed promises from the first term, he just skipped the justice and corruption part. Hence, Poroshenko focuses on Ukraine's further integration in the EU and potential NATO membership which, he believes, is a guarantee for democratic changes. Unfortunately for Ukraine, democratization primarily depends on the state itself, and willingness of its authorities to impose the same rules for everyone. Still, instead of reforms of the judiciary or end to impunity, Poroshenko speaks about already existing anti-corruption bodies as remedies against poverty which, however, have not been very productive so far. With Russian military aggression in Donbas continuing, Ukrainian citizens see peace and security as top priorities among human rights. Naturally, Ukraine's candidates for the presidency offer their visions of a quick and most beneficial way to end the war. In 2019, the majority of Ukrainian candidates for the presidency seconded the idea that there can be no negotiations with Russia. They hope to reach peace with the help of Ukraine's Western partners and guarantors of the Budapest Memorandum, denying any compromise that may threaten the state sovereignty. Except for Boyko, whose vision of peace is rather dubious. Contradicting his own goal of "a united political nation", he supports negotiations with all sides, which inevitably leads to compromise with Russia. Not only does it distance the prospects of peace for Ukraine, his strategy may actually inflame the conflict further. Another issue is return of the occupied territories. The top-5 candidates do not give any loud promises on Crimea, and are quite modest about reintegration plans on Donbas. Besides Hrytsenko, who had the courage to claim the return of Donbas "is possible to achieve in a 5-year term", "without any special statuses". In his program, he also mentions internally displaced persons, promising state mortgages to provide them with homes, and to create new work opportunities, though there is no explanation on how he would implement this. In a similar vein, Boyko advocates social aid and advantages for IDPs among other vulnerable groups. While Tymoshenko and Poroshenko focus on reparations, their promise to make the aggressor country pay compensation to Ukrainian citizens who suffered from the war is unrealistic in the near future. Such claims are also a weight off state shoulders, since they supersede the responsibility to commit to the restoration process. Although it is important to "ruin the wall of fear, misunderstanding and hatred (…) between Ukraine and the occupied territories", Tymoshenko, like other candidates, gives no further explanations on any reconciliation or peace-building process. In general, in their programs, none of the candidates talk about transitional justice as a strategy or set of measures that is much needed to overcome the consequences of war in Donbas. Ukraine's top-5 candidates are traditionally abundant in their promises on social security and economic stability. This group of rights is central in the election programs of Volodymyr Zelenskiy and Yulia Tymoshenko. Whereas Zelenskiy has offered no clear plan on how to make Ukrainians wealthy, Tymoshenko introduced an extended economic program on how to attain European salaries, fair pensions and affordable healthcare, albeit with multiple errors, contradictions and populist ideas, as shown in the analysis by VoxUkraine. Despite promises to increase salaries and pensions, and to cut taxes are similar, they often seem unrealistic as they disregard the impact on other social groups. In this category, Boyko's desire to increase incomes to the "actual living wage" seems more workable than that of Hrytsenko, who wants, for example, to raise it to 700 euros. Being quite vague about social and economic rights in his program, Poroshenko points to his focus on the social criteria of Ukraine's integration in the EU , but largely ignores healthcare, environmental rights, and the education sphere. Unlike the incumbent President, his now rival Zelenskiy puts the emphasis on the restoration of medical institutions, and transition to the insurance system of healthcare. These go in line with Tymoshenko's vision. The former also wants the state to cover insurance expenses for children, the unemployed, disabled and pensioners. The pro-Russian Boyko considers this group of rights in a populist paragraph without any specifics at all. Instead, Hrytsenko made his electorate expect a decrease in the price of medicines by eliminating corruption schemes in the pharmaceutical sector. While most candidates oppose discrimination on ethnic, language, race or gender grounds, their programs contain no mentions about the rights of LGBT groups or gender equality. Freedom of expression is also devoid of attention from Ukraine's top candidates. Except for Boyko, who says he wants to allow access to Russian and pro-Russian information sources and social media. Despite the fact that some limitations on the Internet are useless, totally reversing them would enable an inflow of Russian disinformation and propaganda. 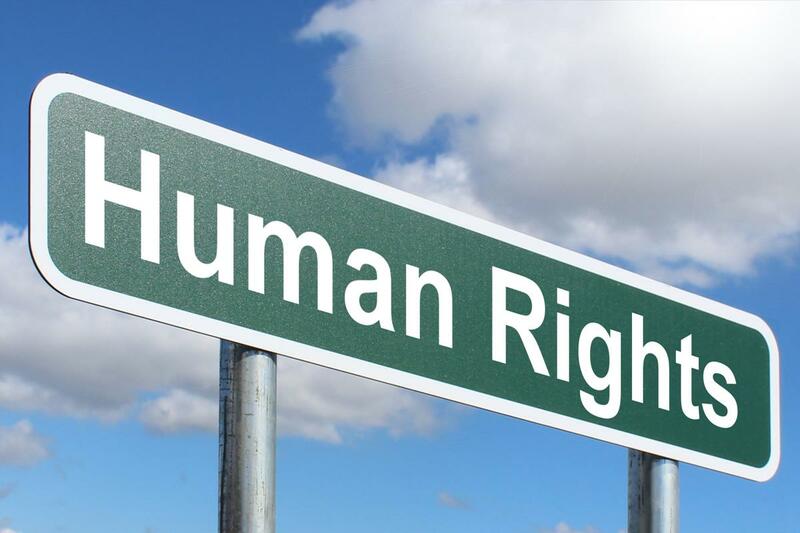 In the end, one cannot secure human rights relying on a state which is infamous for condemning them. Since the beginning of Russian aggression in Ukraine, human rights issues have multiplied, with destructive social and economic consequences. Although in 2019 Ukrainian candidates for presidency are not expressive about fundamental rights, they did adapt their programs to include a wide range of popular demands. In times of war, they prioritize national security, the fight against corruption and underline social and economic rights. It's now up to the Ukrainian people to decide who does it best.